Postcard (R) courtesy Thanhouser Company Film Preservation, Inc.
Thanhouser Career Synopsis: Justus D. Barnes was with Thanhouser for virtually all of the company's existence, and in that time he played in many films, playing many leads, but more often in secondary leads or "heavy" parts. Biographical Notes: Born in Little Falls, New York in 1862, Justus D. Barnes pursued a stage career, then joined the Edison Company. 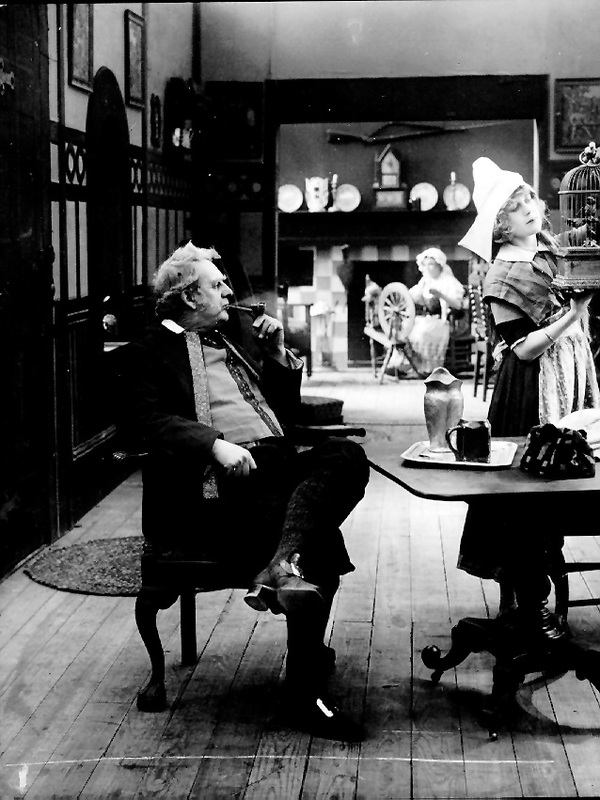 He joined Thanhouser in 1910, and from then until near the end of the company's existence he appeared in many films, including several in the last year of production, 1917. 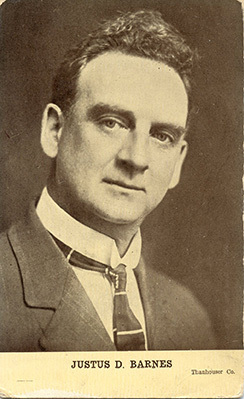 "Mr. Barnes loves horses and has no use for automobiles or aeroplanes," noted an article in the June 13, 1914 issue of Reel Life. "His carriage horse, Tom, is well known as one of the finest harness animals in Westchester County." By that time he was "famous for playing more than 400 character parts on the screen." Justus D. Barnes died in Weedsport, New York on February 6, 1946. Notes: His given name was frequently misspelled as "Justin" in Reel Life. An article in The New Rochelle Pioneer, April 22, 1916, stated that a William Barnes was to appear in a minstrel show to be conducted by Thanhouser players on April 27th. It is believed that Justus Barnes may have been intended. The same article had numerous typographical errors, including "Eugene Mohr" (for Eugene Moore), for example.